James Hunter in Montreal or Quebec City? Inform me about the next events for James Hunter. Enroll yourself to our priority waiting list for James Hunter to be alerted when new tickets are available. Filling this form doesn't engage you to any purchase. 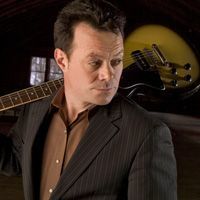 James Hunter will be performing a pair of free outdoor concerts on Saturday, June 26th, 2010, at 9:30pm and 11pm, at Place des Festivals, as part of the Montreal Jazz Festival. The British R&B and soul singer will sing some of the songs contained in his 4 solo albums, namely the latest entitled The Hard Way. Close collaborator of Van Morrison, James Hunter made a name for himself in the 1990s as a solo artist.